Happy Friday before Memorial Day! I am thrilled to be doing another guest post for Honeyville today. I can't say enough about how much I love their blanched almond flour. Truthfully, I couldn't create most of the delicious baked goods that I have over these past couple of years without it. One of my favorite flavors, especially during summertime, is lemon. I love almost anything lemon. It's fresh, tart and just complements almost anything you use it in, whether it be something savory or sweet. One of the things I used to enjoy eating before going grain free was scones. You know, sort of like a ever so lightly sweetened biscuit but more dense and dry? Well, the only thing that I didn't care for was the "dry" part. So, one of the beauties of making something yourself...is that you get to make it exactly how YOU like it...so I did just that! 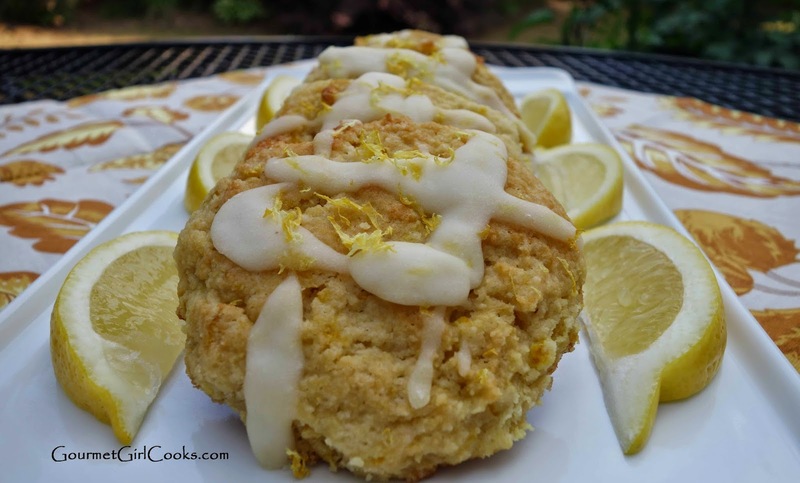 I created Lemon Buttermilk Scones that are lightly sweet but rich, moist, buttery and that pack a distinct lemony flavor...and they are anything but dry! 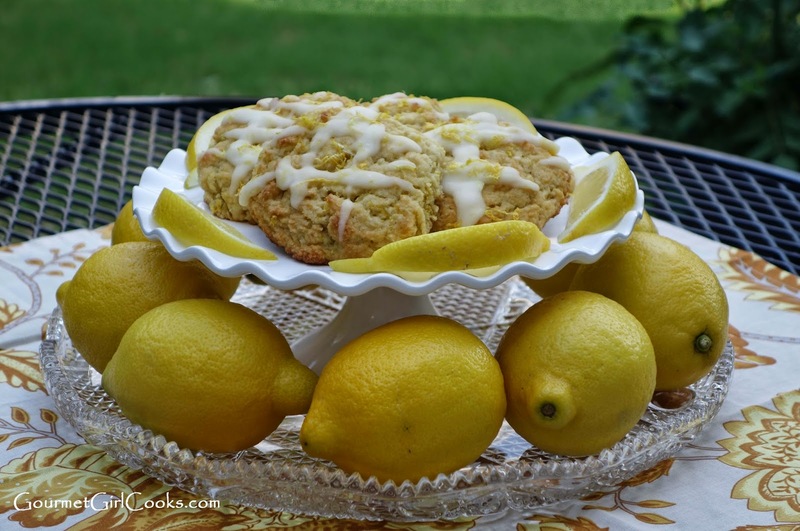 To add just a touch of added sweetness as well as give these little scones an additional punch of lemon, I made a simple lemon glaze using confectioners' style Swerve, lemon juice, heavy cream and lemon zest. It was the perfect "little something" that lets you taste the fresh lemon flavor as soon as you put it in your mouth! These scones make a delicious treat to enjoy with hot tea or coffee and would be a great recipe for you to make and enjoy over the long Memorial Day Weekend! You can wrap one up and take it with you when you go out for coffee...you don't need to drool over the treats at Starbucks...just take your own with you! I snapped a couple photos for you to see what I'm talking about. 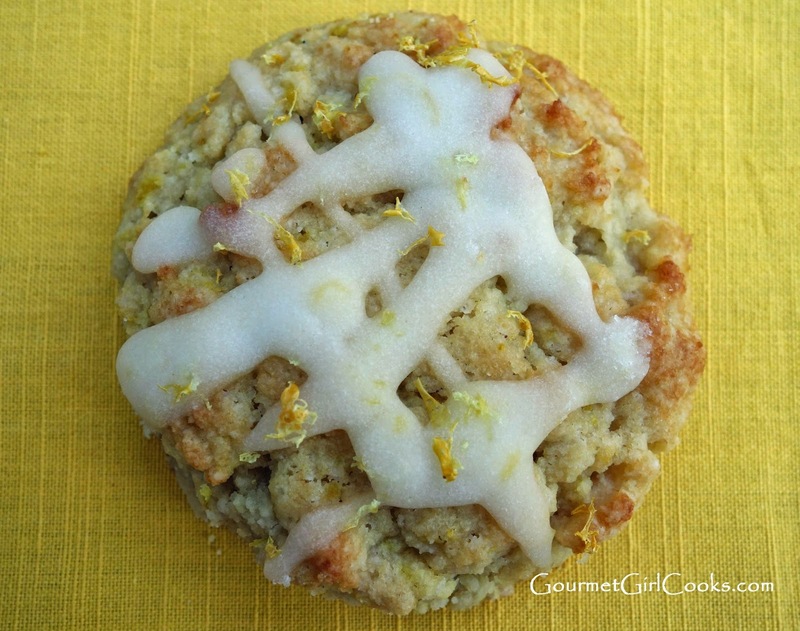 Click here to get the recipe --------> Lemon Buttermilk Scones Enjoy! Hi Ayla, this sounds so yummy. It's definitely going on my soon-to-try list. Hi - I found you via the Honeyville site, and just wanted to give my most profound thanks for all the work you do, testing recipes and stuff. I really thought the joy was going to go out of eating for me, after finding that I needed to make dietary changes. I grimly made my changes, and lost that first sixty pounds... and then I found you, and the FUN is starting up again. Made these yesterday and they're the most tender, lovely smelling, TASTY thing. I made a cream cheese frosting type of thing, because I was out of confectioner's type sweetener, but you can bet I'm getting some. I'm so glad you like the scones and thrilled that you are excited again and looking forward to continuing your dietary changes. I hope you find some new recipes to enjoy. Congratulations on losing 60 pounds -- that is awesome. I wish you lots of luck in reaching your goals and happy that you are looking forward to trying some new recipes -- sometimes that's all we need to help motivate us again. Hi...i made these today...they came out flat as pancakes! Any idea what happen? All my ingredients were bought fresh inc. the soda and powder. I did notice the batter was on the wet side. Not enough flour? Haven't tasted them yet but I'm calling them cookies...lol! Hi...Me again...I did not use honeywell almond flour...i actually get raw blanched almonds from Trader Joes and grind them to a flour like texture with my coffee grinder. It works awesome....when I made your zucchini bread it came out amazing! I did use the 3 tbsp. of coconut flour but I didn't 'pack' the almond flour in when measuring. I also ran out of Swerve sweetener so I added in Truvia to have the right amount of sugar. Other than that I followed the recipe as written. The flavor was okay but what I ended up with was a flat lemon 'cookie' that had a cornmeal like texture. One other thing to mention...I'm in California and its been so warm. Could the heat and humidity throw the recipe off? Just a thought...Thanks for helping me figure this out! Made your Seedy Power Balls today too. They came out perfect! These have been on my "hit list" forever (where DOES the time go!) Finally made them tonight and they are Scrumptious ... AND my hubby likes them. I was going to make the glaze, but I'd just whipped up a batch of cannoli filling (with the orange zest) that turned out yummy, but because of the particular brand of ricotta I used it also turned out too thin. Anyway, we spooned that onto our scones as a topping and it was delicious! :-) I'll make the glaze next time. BTW, we *did* actually have a White Easter. The flurries flew furiously for quite a while but fortunately didn't stick. It's been chilly, though, and heavy thunderstorms this evening. It seems Spring is still having a bit of a problem "springing" this year! Glad you and hubby enjoyed the scones. Great idea topping them with cannoli filling too! We have unseasonably warm temps in the mid 80s along with thunderstorms. We even lost power one evening last week and had dinner in the dark (fortunately I had cooked my Spicy Beef & Cabbage Soup in the crock pot all day before the power went out). Our pollen has been quite high -- 6,000+ believe it or not. I've taken some allergy meds which I rarely take and they totally knock me out!